ESKA Workflow Simplifies and automates procedures between multiple participants to improve collaboration between various team members. Using ESKA® Workflow, companies can define and manage work processes from start to end and enhance collaboration between various team members. The system can easily adapt to different work procedures and fully reflect the way a company organises and executes its activities. 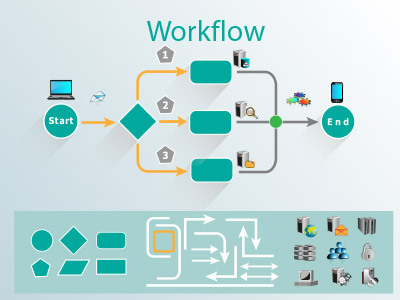 ESKA® Workflow fully integrates with all ESKA® Business Manager Systems as well as other Enterprise systems from third party vendors.